If you’re like me, you get fired up for national sporting competitions. Whether it’s The Olympics, The World Cup, European Championships, Commonwealth Games, Copa America, or any other time two nations put their very best athletes on the same field with national pride on the line, I do whatever I can to get a front-row seat for the action. That’s why this past Saturday morning, I watched several hours of the Rugby World Cup, even though I’d be hard pressed to explain the rules of rugby union to someone if my life depended on it. The first match of the morning wasn’t much to watch–South Africa and Samoa (a resounding win for the Springboks after a dramatic upset by Japan in their first match), but the second match of the day–England vs. Wales–was an all-time classic. The game itself was brilliant: a back and forth match that ended with a victory for the Dragons instilling fear in the English faithful that their beloved squad may not escape the group stage alive. What provoked my curiosity (even more than trying to understand the rules of the game) was the sight I beheld before the game. During the pre-game ceremonies while the national anthems were being sung by either side, Prince William and his wife, the Duke and Duchess of Cambridge were in the crowd seated next to Prince Harry, and I was surprised to see that Prince William was not only singing along passionately to “Hen Wlad Fy Nhadau” (The Welsh National Anthem), he was also wearing a red jacket with the Prince of Wales Feathers Emblem emblazoned on the front. I was baffled. Why would the future King of England support an opposing side when the English National Rugby Team was on the pitch? His brother, Prince Harry, was showing his support for Team England by donning a jersey with the English Red Rose emblazoned. Harry sang along to “God Save The Queen”. 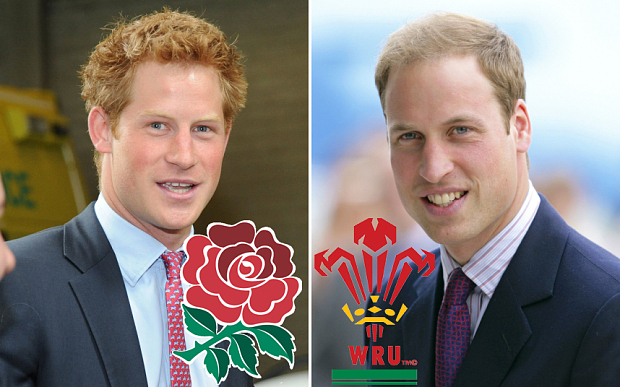 Why the divide between these two siblings and members of the Royal Family? After consulting some of my British colleagues, I soon learned that Prince William will one day (barring any unforeseen circumstances) ascend to the title of Prince of Wales. In a tradition that dates back to 1301, the Prince of Wales has habitually been the eldest living son (if and only if he is also the heir-apparent) of the King or Queen Regnant of England (subsequently of Great Britain, 1707, and of the United Kingdom, 1801). The title is not automatic and is not heritable; it merges into the Crown when a prince accedes to the throne, or lapses on his death leaving the sovereign free to re-grant it to the new heir-apparent (such as the late prince’s son or brother.) Prince William’s father Prince Charles was created Prince of Wales on 26 July 1958, some six years after he became heir-apparent, and had to wait another eleven years for his investiture, on 1 July 1969.
includes 5 itineraries that make the world of English literature come alive.